This six-part deep dive into Final Fantasy VII is part of Retronauts creator Jeremy Parish's "Design in Action" series of examinations into games both old and new. It was originally published back in March. 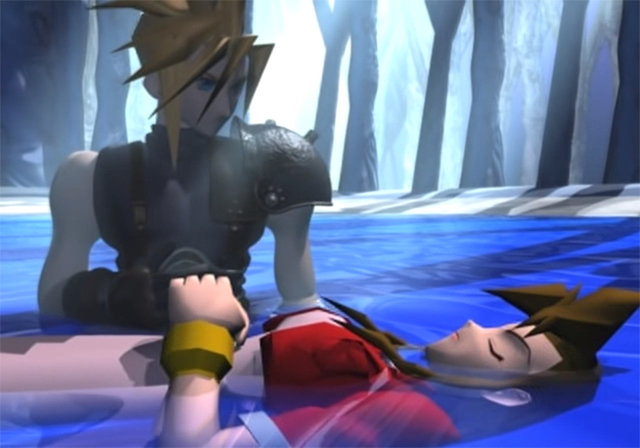 Final Fantasy VII gave us one of gaming's most iconic scenes. When Final Fantasy VII was released back in 1997, it was such an outsized hit that it popularized an entire genre. It made console RPGs cool in a way they had never been up until that point. Now 20 years old, it continues to exercise a tremendous hold on the popular imagination, with the remake being one of the most anticipated games of the generation. In an effort to better understand its timeless appeal, Jeremy Parish takes a long and hard look at Final Fantasy VII to figure out why exactly it still resonates with gamers after all these years. Love roleplaying games? Check out our weekly RPG podcast Axe of the Blood God, which updates every Friday! Subscribe to us on iTunes or listen to us on Soundcloud! Tagged with Analyses,	Classic Deep Dives,	PlayStation,	Retro,	Role Playing Games,	Square Enix,	USgamer.